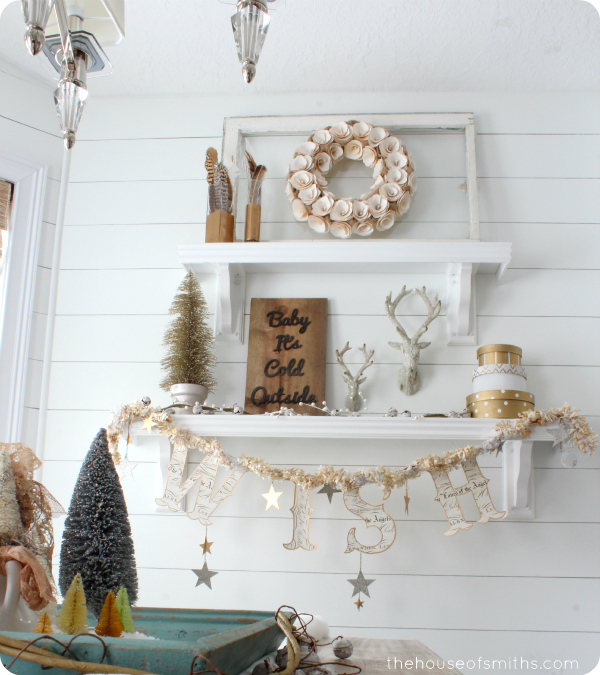 We're finally sharing our little 2013 Christmas decor home tour today! 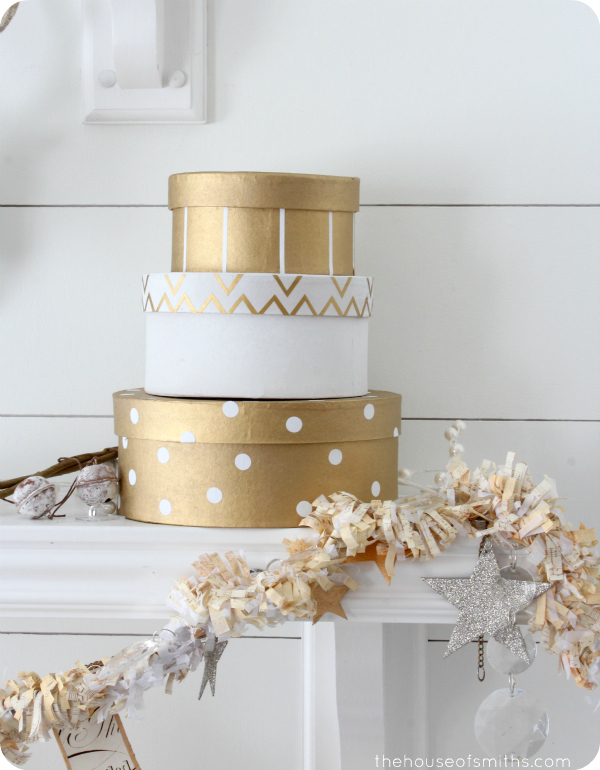 This year we decided to go with LOTS of gold and neutral accents, vintage/whimsical touches here and there, and of course some modern flair thrown in too. If you've missed our Christmas decor or projects in the past, you can see those in full detail by clicking on the icons below. I know that a lot of you will have questions about where things are from or how they were made, so I've included a quick reference list at the end of this post for that. * Couch - Pottery Barn (PB comfort model)... but purchased at DownEast Home. * Pillows - Black & White: Ikea, Large brown fur: Target, Gold Peace: Splot Shop, Gold animal fur: HomeGoods. Your decor is beautiful! I love seeing your theme every year. I especially like that you shared your Tree story. 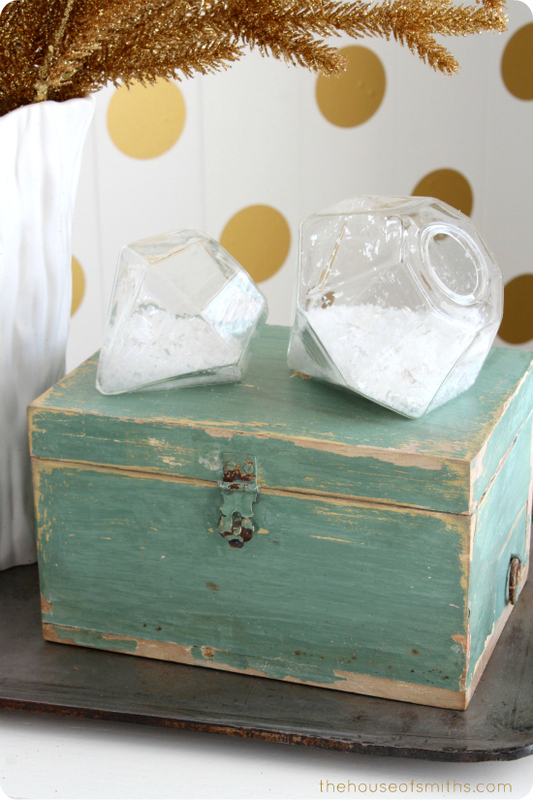 It helps me relate to the process of decorating and compromising because of a budget. Merry Christmas! PS - I love the family pictures in the snow! Wow! That is so much fun! Love the gold! 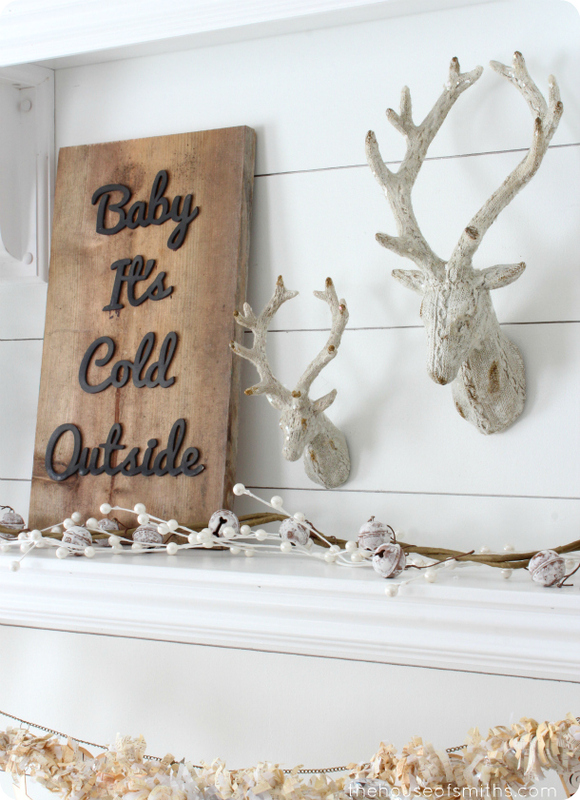 I love the "Baby it's cold outside" sign! Beautiful Home, Shell! 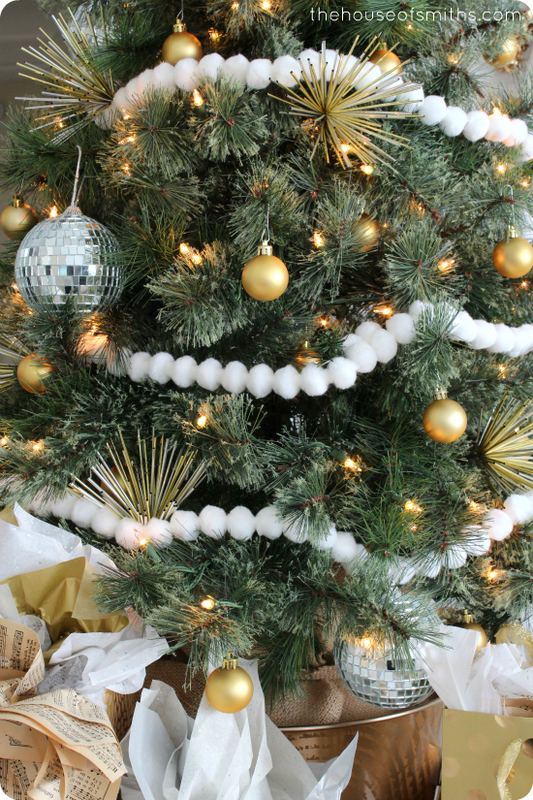 LOVE, LOVE all of your holiday cheer! so fun! 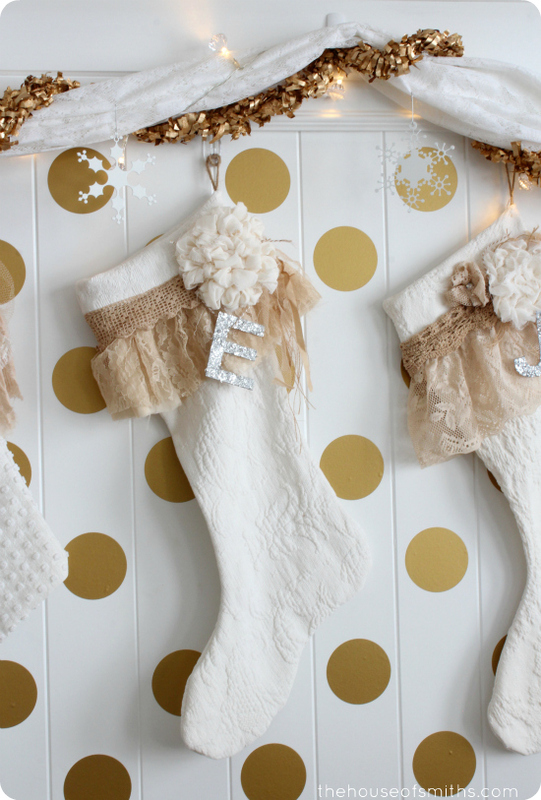 and I am dying over those stockings! Truly Gorgeous!! Looks great! but that's it? Where's the basement?? ;o) would've love to have seen that! I love everything about the space! So pretty! gorgeous!! 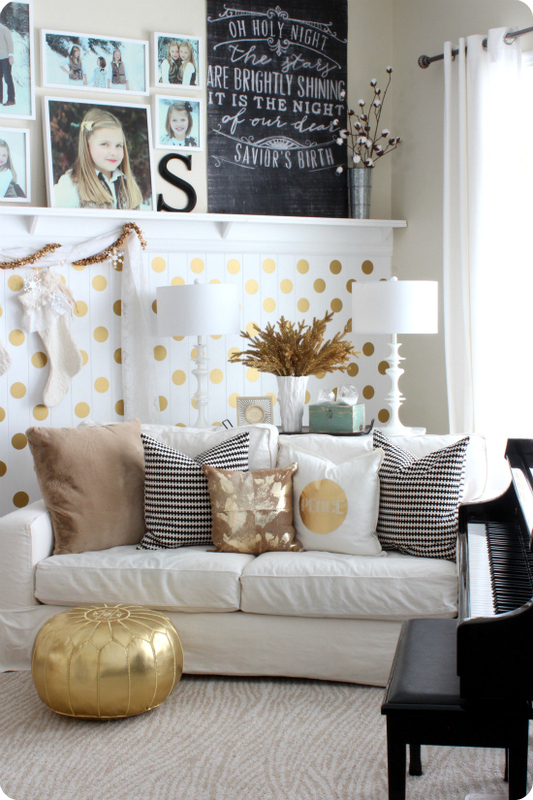 Love the polka dot wall, so fun! 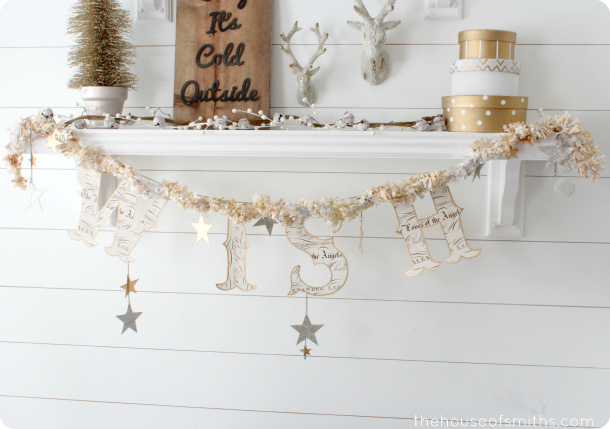 Very pretty and very festive. But, what I like best are the photos of your sweet family. Thanks for sharing. Where on the bijou website did you find the diamond sculptures? I have to have them! Thanks for sharing! Just beautiful! 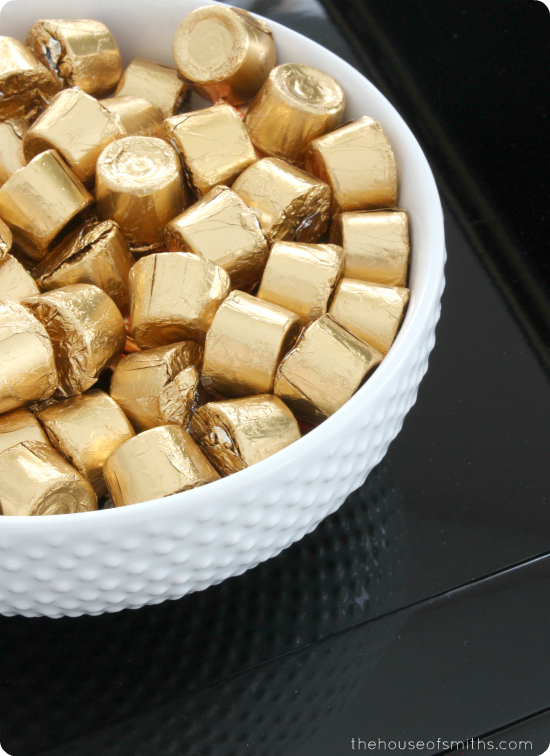 Love all the gold! Can't decide what is my fave.......it's all lovely ;). Merry Christmas! Would you mind telling me what brand your rug is? I would love to see if I can find one here in Michigan. Thanks! And have a wonderful Christmas! Your Christmas tour is one of my favorites! 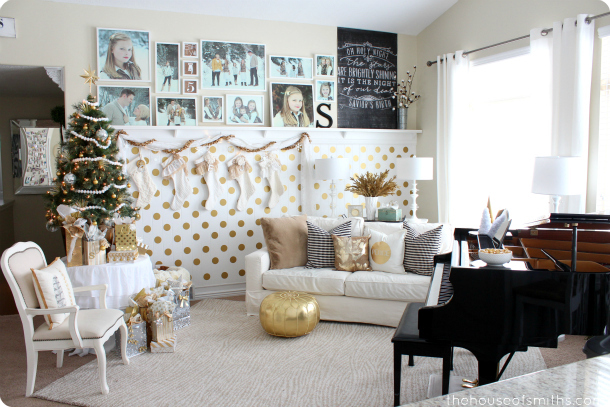 I love all the gold and those stockings are so pretty! Very cute! 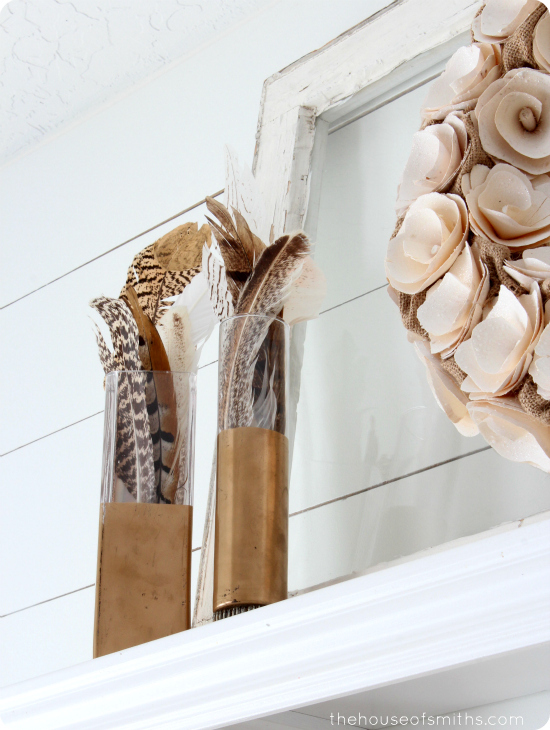 Love the neutrals with a hit of gold! I hope you and your family have a very Merry and Blessed Chistmas! 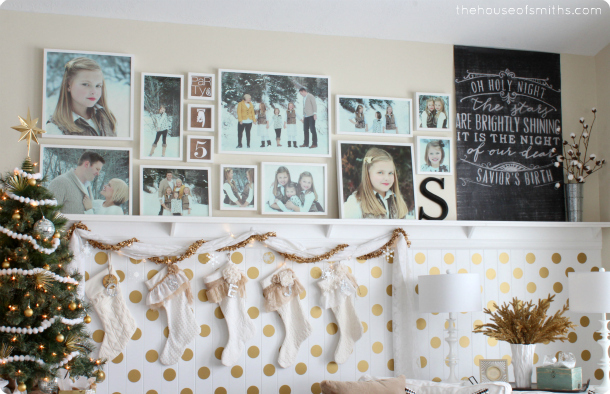 How do you attach your chalkboard prints to the wall? Thanks! Okay, you are amazing! Love, love, love everything! 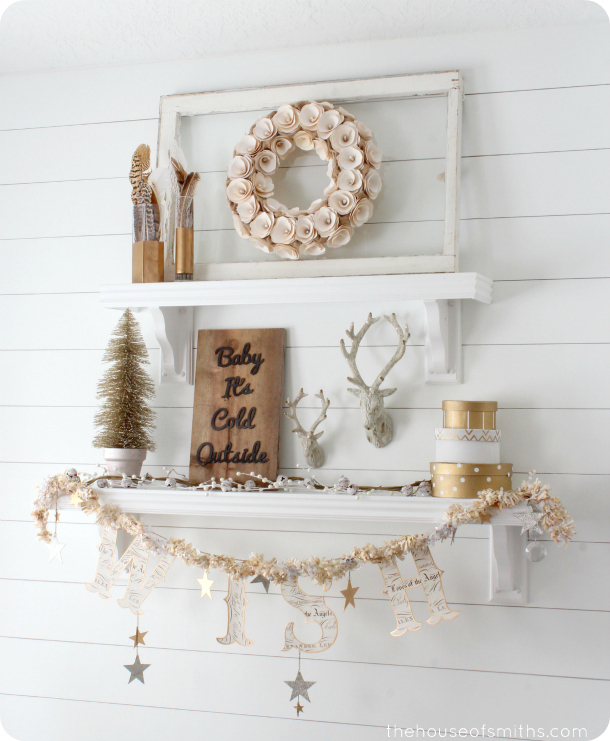 Where did you get the deer heads by your shelves? So pretty!! Always looks like a model home. love it! 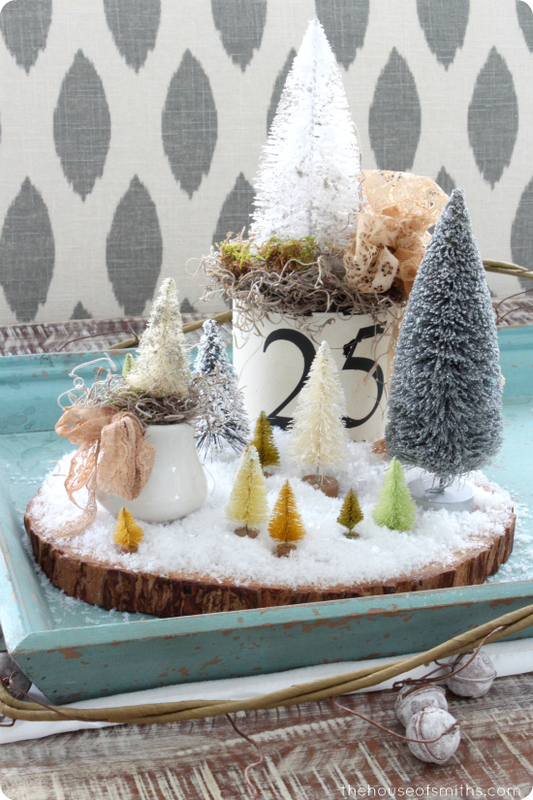 Where did you get the bottle brush trees on your table? Love, love, love it all!! 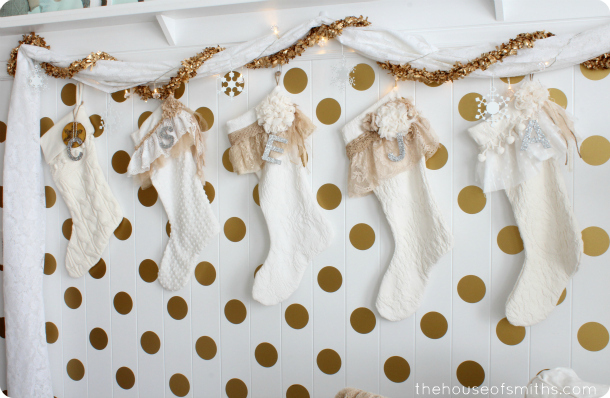 Question - where are the letters from hanging on the stockings? I didn't see them mentioned in your detailed list above (thanks for that source list). 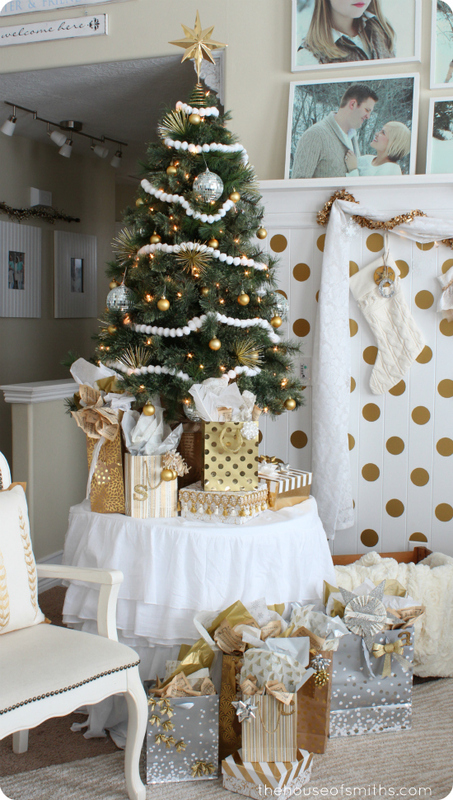 Love all the gold and silver! This is very pretty. 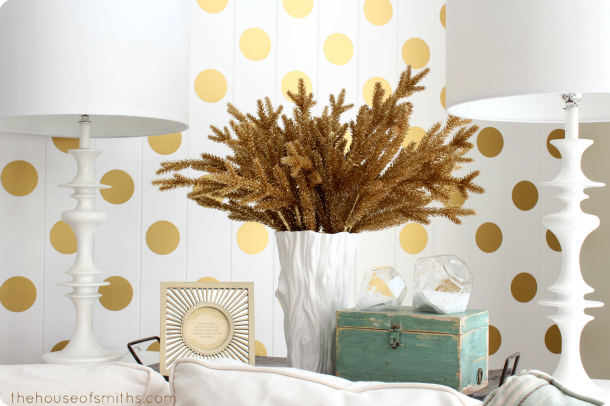 I love gold as an accent. I just found a site with free posters. 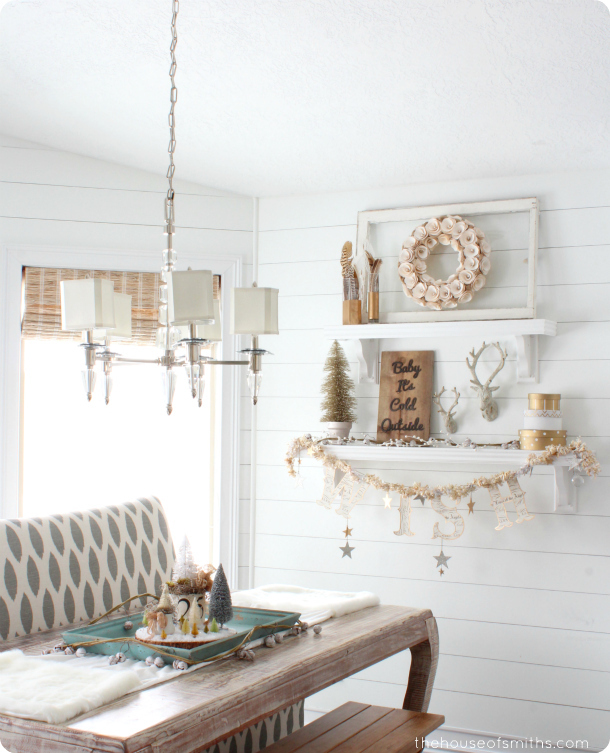 I'm getting inspired to decorate. Glad I found your blog. wow, everything is so gorgeous, gold/silver/white. It's breath taking, everything you showed us.